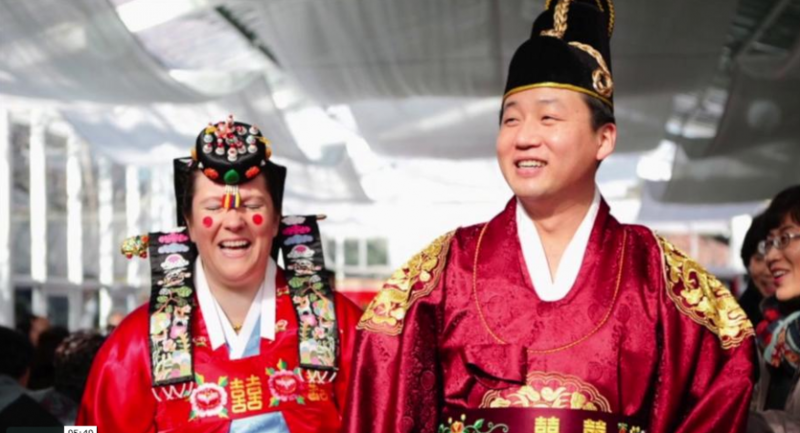 Korean wedding ceremonies have two parts. The first part is the traditional ceremony wearing the wedding gown and tux. The second part is the “Paebaek” ceremony wearing the Korean traditional Hanbok outfit. The newlyweds bow to their family members and take part in various cultural rituals. Here’s the video from Paul & Penny’s Paebaek wedding ceremony.